Disney Junior BrincaAprende, a new offering from Disney for Portugal, is set to launch exclusively on the Meo TV platform between November 23 and December 31. The edutainment channel, which will be available at no extra cost to Meo customers, will aim to offer educational content based on familiar Disney characters, bringing shows such as Little Einsteins, Manny Mãozinhas and Os Meus Amigos Tigre e Pooh to young Portuguese viewers. 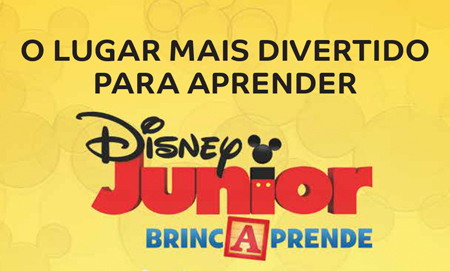 Disney Junior BrincaAprende will be available on Meo’s ADSL and fibre platforms, on satellite and via the Meo Go service on smartphones, tablets and PCs. Meo has launched a number of special pop-up channels from Disney in recent times, including Marvel Mania and Disney Forever 2.